Women of God have always been at the center of His purposes. Mothers of faith will play a vital role in establishing the course of Christ's kingdom. It is the dawn of a new millennium—and the start of a significant new day for women in the church. 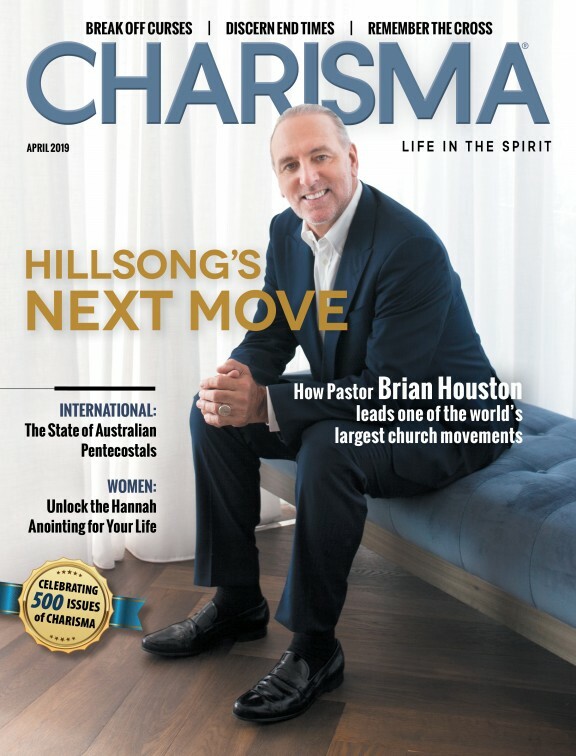 Speaking as a brother in Christ and a leader in the global prayer movement, I'm convinced there's never been a more interesting, demanding or exciting time to be a Christian woman. I believe almighty God will do incredible things in and through the female gender during the next decade. And when He does, society better watch out. A spiritual awakening is on the way! As I've worked to encourage prayer around the world, I have had a tremendous opportunity to labor with many great women of the faith—gifted women who know how to wield spiritual authority on their knees. I've seen this authority, through spirit-filled praying, bring heaven to earth and change the course of history. Of course, women are known for their praying. They're less known for exercising authority in positions of leadership in the church. But I believe that in the coming days, there will be certain victories only women can accomplish. There will be certain places only women can get into. And there will be certain roles in leadership that only women can fill. This is a season when the Lord's apostolic order and authority are being established in a fresh new dimension. God is renewing and restoring the apostolic gifting in the body of Christ, causing His leadership for the future to arise and be positioned. He is releasing an anointing for spiritual breakthrough against the kingdom of darkness from region to region. Women are key in this plan. In fact, God has always had an important position for women to fill, starting with the first woman, Eve. The multiplication of life on earth could not have occurred until she was properly placed in God's order. And God's heart for women has not changed. Today, the Lord is longing for the female gender to be established with an authority and a sphere of influence—connected to and originating from Him—that will help bring about a multiplication of harvest in the kingdom and the reform of societies throughout the earth. As many prophets are declaring across the body of Christ, a great move of the Holy Spirit is occurring among women in this new season. Many women who have sensed a quiet nudging from the Lord to preach, teach, and evangelize cities and nations—but have felt too timid to take up the call—will find themselves released and liberated to go forth and proclaim, "The kingdom of our Lord is at hand." Psalm 68:11 describes this picture: "The Lord gives the command; the women who proclaim the good tidings are a great host" (NASB). The Hebrew word for host is tsaba or Sabaoth, which connotes a military group that is always victorious. Such a host should strike fear in the camp of the enemy. Imagine being marched upon by countless determined "she-bears" proclaiming victory with every step! We know that when the Lord ascended to heaven He gave gifts—listed in Ephesians 4:11 and ordered in 1 Corinthians 12:28—that define His plan to legislate His authority on earth. The first gift necessary to establish godly order is that of apostle. When true apostolic authority is established in a territory, something important happens: Transgenerational vision is released. In other words, one generation's vision for the establishment of the kingdom is passed on to the next generation, and from that generation it is passed on to the next. Women have a critical role in this process. Although the gift of apostle is most commonly thought of as spiritual "fathering," there is another dimension that includes spiritual "mothering" as well. In fact, without both "mothering" and "fathering," transgenerational vision is squelched, and the next generation of believers becomes dysfunctional. I believe this is an hour in which God is raising up spiritual mothers. And just in time—for we all know how many times mothers have determined the course of human affairs. Personally, I have always had a great love and respect for women who endure and overcome difficult circumstances. I can easily relate to the Scripture in 2 Timothy 1:5 in which Paul encourages Timothy to "call to remembrance the genuine faith that is in you, which dwelt first in your grandmother Lois and your mother Eunice, and I am persuaded is in you also" (NKJV). I experienced a measure of hard circumstances and difficult times during my youth. But with great joy I thank God for the endurance of a godly mother and the faith of a godly grandmother who imparted future strength to me.